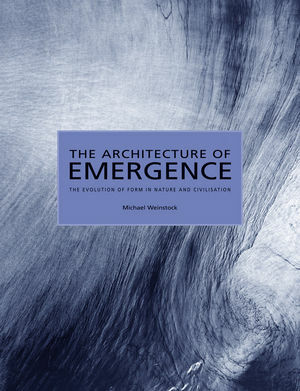 MICHAEL WEINSTOCK is an architect and a distinguished academic. He was born in Germany in 1948, lived as a child in the Far East and then West Africa, and attended an English public school until he ran away to sea at age 17 after reading Conrad. His years at sea were spent in traditional wooden sailing ships, with shipyard and shipbuilding experience. He studied architecture at the Architectural Association, and has taught there since 1989 in a variety of positions from Workshop tutor through to Academic Head, and has published, taught and lectured across the world for many years. Chapter 1 Nature and Civilization. Chapter 2 Climate and the Forms of the Atmosphere. Chapter 3 Surface and the Forms of the Land. Chapter 5 The Forms of Metabolism. Chapter 6 Human – Anatomical and Cultural Forms. Chapter 8 The Forms of Information, Energy and Ecology.